The Mission of Shiloh Christian Children’s Ranch to provide Christian homes for abused, neglected, and other at-risk children and to meet the spiritual, emotional, educational, social, and physical needs of each child. 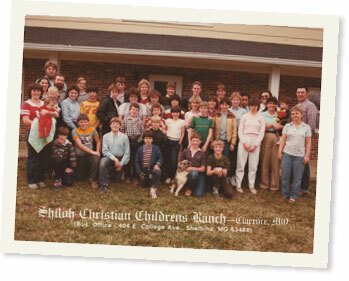 Shiloh Christian Children’s Ranch opened in 1977 as a result of the vision and efforts of Mr. Don McCain and Mr. Stan Way. The two men met during a period in which Mr. Way was a minister in the Clarence, MO area. One day the two men discussed the possibility starting a set of Christian children’s homes in northeast Missouri. The men believed adequate financial support could be obtained from area churches to eventually build as many as three homes near Clarence. Several other individuals in the area, who eventually became Shiloh board of trustee members, “caught” McCain’s and Way’s vision to carry out the project. Land for the Clarence, MO site was provided by the late Mr. and Mrs. Frank Brown. By 1983, there were three homes on the original nine acres ministering to children in need. Today there are four full-time homes and a relief home at Shiloh’s Clarence, MO site. Kahoka, Missouri is approximately 75 miles northeast of Shiloh’s Clarence, MO site. There are two full-time homes and a relief home at Shiloh’s Kahoka, MO site. An onsite Christian school was added for the Kahoka site children in 1997. 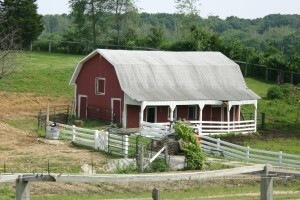 A board of trustees provides oversight for the Ranch. Former trustee, Mark Adkison assumed duties as executive director in August of 2005. Thirty-one year Shiloh worker, Jay Craig, is director of stewardship, and Tim Craig is stewardship officer. In summary, the ministry of Shiloh now includes a total of six homes for children, two relief homes, plus an onsite school at the Kahoka, MO site. Shiloh’s ministry is here because caring supporters give to make it a reality.